If you are planning on going to another backpacking trip and you want to gear up with a few items that will provide you an enjoyable trip, you have come to the right place. Whether you prefer comfort or lower weight, this guide for choosing the best backpacking chair will assist you in your searching and help you be satisfied with your choice and enjoy yourself on your next trip. You will learn the most important factors that you should consider when buying a chair and hopefully, you will make a good choice with a backpacking chair that will last you for ages. Backpacking is an activity which combines sport and enjoyment. It might be difficult to carry all that weight on your back, but it’s sure that when you get up there and get comfortable with that beautiful sight, everything will be worth. Backpacking chair is part of the “get comfortable” equipment. And here are the key elements that you should look for in a backpacking chair in order to have the full experience. No one is going to carry the weight of a chair if you don’t want to get very comfortable up there. In order to get comfortable in a chair, the size matters. Some chairs are too small to get comfortable in them. Some people prefer chairs with side straps, while others want to lay their hands on something. Whatever you are looking for, keep in mind that comfort depends on the person; it is a relative concept. The material is very important when factoring in a chair. It can be a waterproof material if you have the need for this feature, or soft in touch if you want to get wrapped in the chair like a bird in a nest. The good news is that unlike comfort, the material is information that is always provided. And what you should ask for is the thickness of the material. Some materials like nylon can endure weight even though they are thin, while others like 600D polyester are softer on touch, comfortable, but they require thickness. What is the purpose of having a chair if you are not able to disassemble it? Make sure you disassemble it at home first, so there are no surprises on your backpacking trip. Some models have easy assembling methods while others are impossible to deal with. This all depends on the chair construction; some are more difficult to set up, but they are more stable. Stability is vital if you prefer a chair that you wouldn’t have to balance when sitting. But, some people actually find it interesting that they have to balance while sitting. The terrain is also important when it comes to this issue. Some chairs require digging the legs in the ground in order to get stability while others can sink in soft terrains. So stability and terrain are close connected factors. 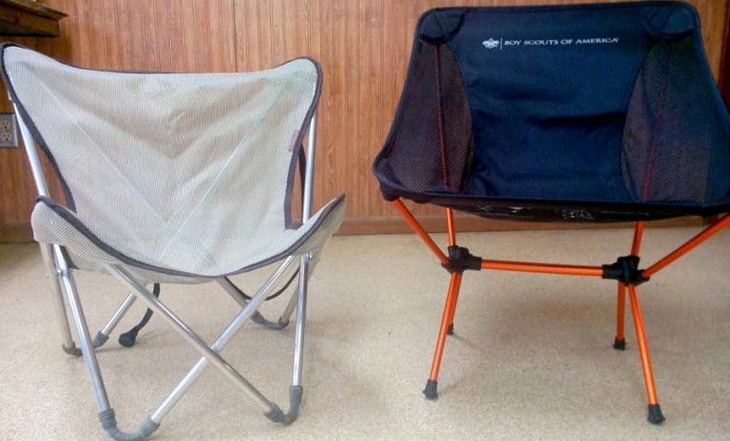 This is probably the most important factor when choosing a backpacking chair. The worst thing about choosing the weight of your chair is that the lighter it gets, the more features you would have to deny yourself from. Backamping chairs come in different prices on the market and you can find them in a price range from $15 to $250 and choose one according to your needs and your budget. Luxurious chairs have very nice features, but they are usually heavier than folding seats and stools. However, if you are frequently taking backpacking trips on a shorter destination, maybe the more luxurious chair would be better for you. We are providing the alternatives and it is up to you to balance the weight and the features preferred. Description: Just like its name, this assembling Big Agnes Helinox Chair is the number one choice for your backpacking trip. 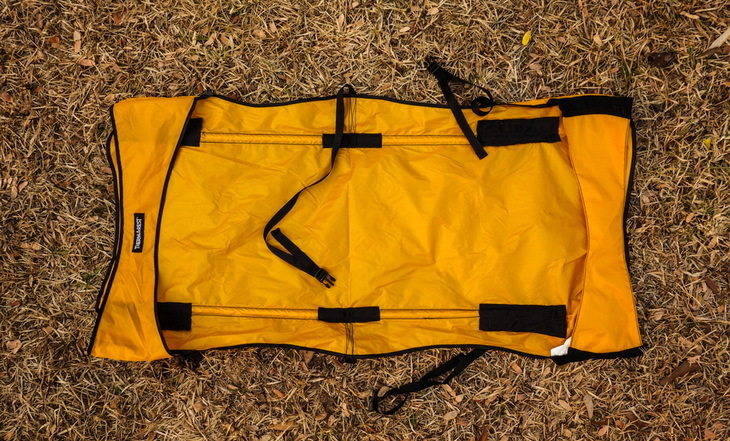 Its 600D polyester material is a strong and waterproof fabric that can support up to 320lb/145kg. It is made with aluminum poles which make it lightweight but with high strength and corrosion resistance. It is an assembling chair with an easy to use assembling method with self-locating shock cord technology. When assembled it is smaller than Sunday Times and its weight is only 1,9lb. The manufacturing company – Big Agnes, promotes it as a folding camp chair for anyone on the go, and it certainly made it to our backpacking gear list. There are different designs for every fashion taste, not that it matters in the mountains. Its main disadvantage is that it doesn’t have an armrest which would make it a bit more comfortable but also add up to the weight. It is comfortable and robust on the critical points, so you don’t have to worry if you’ll fall from it. 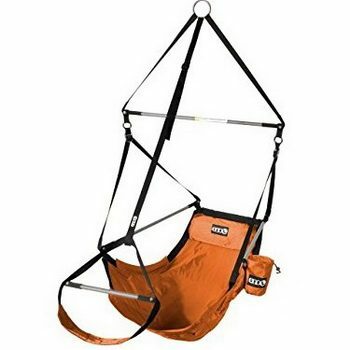 Although perfect for backpacking if you are thinking of using the chair in sand or mud surfaces, then this would not be a good choice for you. Its 4 legs are likely to sink in the mud/sand. However, there is always the solution of putting rocks under it, if you really like it. It is very easy to fall asleep in it even if you are a “big guy”! Related: There is also a Helinox Ground Sheet that’s frequently bought with this product in order to avoid its 4 legs sinking in the sand or mud and Helinox B01CIF Cup Holder to store frosty beverages. Description: This is a tripod that will surprise you with its weight capacity. Travel Chair Slacker Chair can hold up to 275 lbs and is very durable. Because of its use being a travel chair, it is made to assemble to a size as a rolled newspaper and it is secured with Velcro strap. This way, you won’t have to worry whether you are going to fall off. It is made with heavy tubing that doesn’t allow much flexing and it is coated with rust-resistant powder. The fabric is made from polyester and is abrasion resistant and strong enough not to tear from minor scratching. Usually, when sitting on a tripod, one has to worry about weight distributing evenly and sustaining balance. With this chair, the fabric does that for you; it is stretched in a way that ensures your balance and safety. The connectors and rivels are made from nylon and are extremely durable and strong. The main downside is its comfort. It has a great quality, but don’t expect great chair comfort from a tripod. It has short poles and that makes you pretty close to the ground. Also, it supports a great amount of weight, but it is relatively small, so make sure to check the dimensions, so you don’t get disappointed. 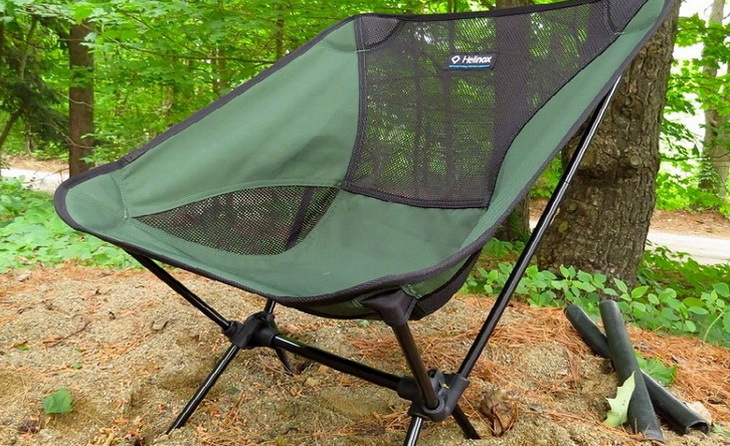 Apart from that, this is a great chair for backpacking, hiking or fishing. Related: GCI Outdoor Quik-E-Seat is a great option for those looking for a padded seat and backrest, shoulder strap that allows easy carrying and closing/opening. 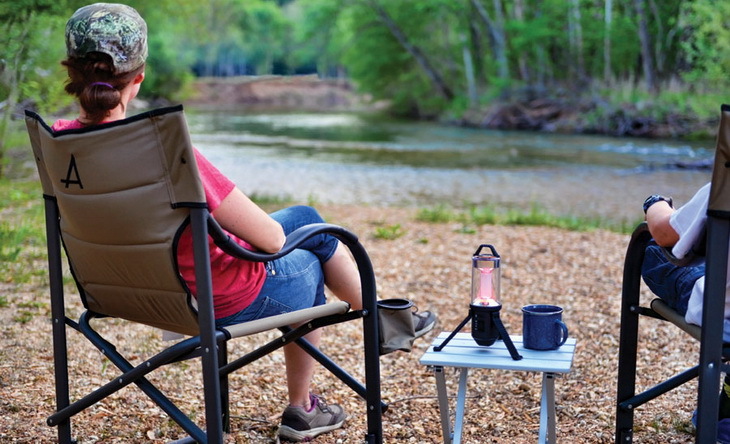 It’s ideal for picnics, fishing and camping trips. 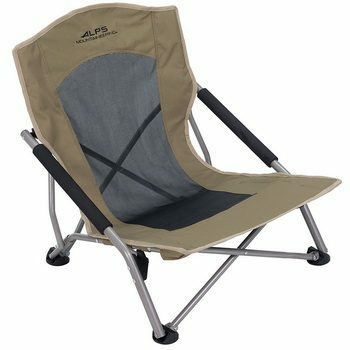 Description: The main feature of this portable ALPS Mountaineering Rendezvous Chair would be its comfortableness. That makes it ideal for campfires, fishing trips, backpacking and many others outdoor activities. Its frame is made from steel, and as you can see from the picture, the seating is very close to the ground. It can hold up to 300 pounds and at the ends of the poles, it has a plastic surface that prevents it from sinking into soft ground surfaces like sand or mud. That makes it the ideal choice for backpacking and beach activities. The folding is also very easy and practical; it folds into the size of a folded newspaper and it comes with an 8 x 28 carry bag. In the middle of the fabric, it has a tech mesh fabric added that is allowing airflow that keeps you cool while seating. It has a great back support and the weight of it is 6 pounds, which is a bit more than the previous models reviewed but is beats them in comfortability. The only downside to this chair is its folding and unfolding. It might not be as you are used to, because in order to disassemble it, you must pull the right legs, but once you get used to it, I believe it won’t be an issue. However, if this is an important feature, check our first reviewed chair model. Related: Reviewed product is usually bought with Sport-Brella Versa-Brella Umbrella that comes with an universal clamp and can be positioned everywhere which makes it a perfect umbrella for all outdoor activities and your sun protection. Specific features: Safely supports up to 250 lb, quick and easy setup convenient and comfortable, versatile and easily portable. Best use: Music festivals, picnicking, campfire or beach sitting. Description: This Eagles Nest Outfitters Lounger Chair has by far with the most interesting and unique design. Instead of setting it to the ground and reasoning 90-degree sitting angle or maybe lower, you could hang this one at any height you want. Depending on what you are looking for, this could be a positive or a negative feature for you. It supports up to 250lbs and it is made with 7075 aluminum frame. That means that its main element of construction is zinc, which makes it as tough as steel. The fabric is the highest quality available for the price. A 210 denier ripstop nylon means that its fabric is extremely durable and can endure any weather conditions. Opposite to the previous chair reviewed, this one has a quick and easy setup. The only thing you have to do is hang the chair on a branch or some other object you find suitable and make yourself comfortable in it. Now this is a feature available only in the Lounger; a drink holder attached and as an addition, built-in pockets for sandwiches or snacks. It even has a support for your neck after that long backpacking/ hiking trip. And like every other product on the market, it must have a downside. This time, it is the price. It is a bit pricey, but if you can afford it, it is totally worth it. Related: As our previously reviewed chair, this one also is usually bought with Sport-Brella VERS-BR10 Umbrella. Description: If you follow the link and check out this Alite Designs Monarch Chair design, you will notice that it is set very low. However, it is high enough so that a heavy person doesn’t touch the ground while sitting. It is suitable for backpacking because when assembles it is only 12 inches long and it fits perfectly into the backpack. The main downside is that it is not recommended for using it for the beach or a muddy area because there is a great probability that it will sink a little into the ground. However, on hard surfaces, it is solid, comfortable and it supports weight up to 250lbs without any problem. Although it is extremely comfortable when sitting and durable, if you are not at least a little bit flexible, you might have a slight problem getting out of it. The assembling and disassembling are very easy, and little balance is needed in order to sit comfortably, but it is easy getting used to it. The frame is made from aluminum tubings and it is extremely durable. The fabric it is made of is nylon, which makes it waterproof and breathable. 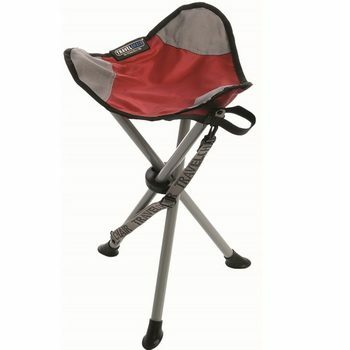 Overall, if you are looking for a light and comfortable backpacking chair, this is the right choice. With its weight of only 1, 43 pounds, it is perfect for long hikes in the mountain. Related: The design of this Alite Designs product is really something unique. 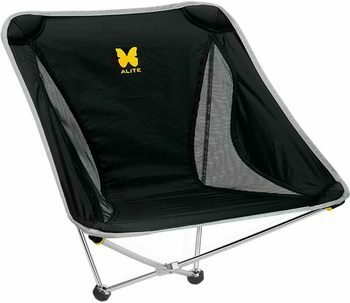 It comes in 5 different designs and the most popular is the Alite Designs Mayfly Chair which is great for indoors and outdoors. It’s super light and comes with the optional front leg. Description: The material this Kelty Camp Chair is made of is the 600D polyester, which means that this fabric is very strong and dense. However, it is not stronger than nylon, but it is more pleasant to touch. Closed-cell foam padding means that the material is with superior physical and chemical properties. It has no water absorption properties and vapor transmission. 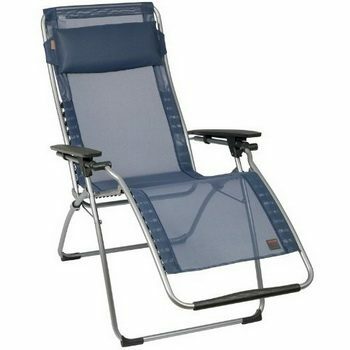 It is light enough to be included in our backpacking chairs list, but it doesn’t have a place to place your arms to lay. 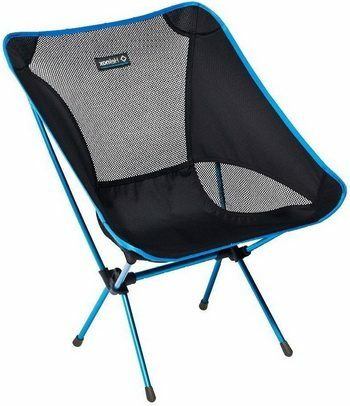 For some of you that mind that, check some of the other suggested backpacking chairs. The best thing about it is that it has adjustable straps that you regulate to fit your comfort level. It also has a stiffener piece inside in order to prevent it from buckling under pressure. Its price is also reasonable. It is a nice, not too comfortable chair that may be used as a pad for kneeling or sitting on the ground if the straps are removed. However, do not expect for the fabric on the chair not to fold when sitting. It really is a strong and nice fabric, but it doesn’t have a plastic pad below, so it has to fold when you seat. Related: This Kelty product currently has a promotional price and usually is bought with this blue ALPS Mountaineering Weekender Seat or this red Coleman Stadium. 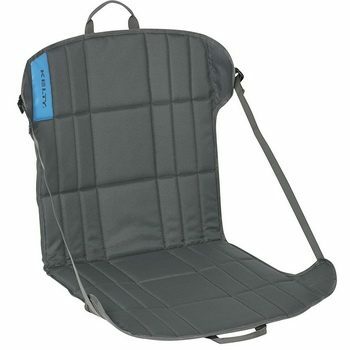 Description: The Chaheati Heated Chair is a modern version of a backpacking chair. It has all the required gadgets and additions. Other that the 600D fabric which is strong and water resistant, but it also has interchangeable arms included. 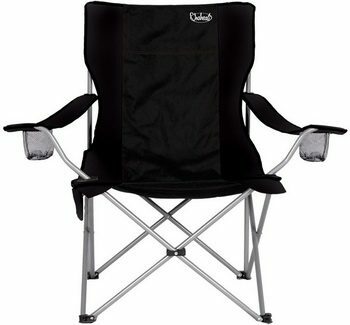 For some people, myself included, this is what I look for in a backpacking chair. It is very comfortable and large and it has a place for juices, water or sandwiches, one on each arm rest. It also includes a rechargeable battery and a charger, so you would never be left with low battery ever again. The Chaheati chair comes with a carrying case, although you can fit it perfectly in your backpack if you prefer. The only downside when it comes to this chair is that it is made for small hiking destinations because of its weight. It weighs 10.2 pounds, which is a bit heavy if you are a long destination hiker. However, it does also support a lot of weight; up to 280 pounds. The only downside to it is its warming properties. If you expect for it to create heat that will make you warm as in a bath, it won’t happen. It has warming properties, but don’t expect too much from this feature. Nevertheless, it has some other great features and it is wonderful to have it at camping for instance. Related: Chaheati CH003CC Car Charger that works with any 12V vehicle outlet while on the go. Description: Lafuma Futura Chair is the only chair on our list that is ergonomically contoured resin or composite armrest. The resistant level feature means that it is able to keep its stability even though the person in the chair is moving. The best feature is that all fabric parts are removable, so you’ll be able to wash it and store it when you are not using it. This ensures a longer life. It also has padded, adjustable and removable headrest and footrest ring and foot pads. This is the only chair that offers this kind of comforting. It is made from a material Batyline, that is not very stretchy and because of this, it doesn’t sag, which proves its durability. The material is also rot, mildew, fading and UV radiation resistant and it withstands extreme temperatures ranging from -22F to 158F. Its poles are made from steel. The main downside is that this product has is its weight. With its weight of 17, 2 pounds, it is hardly a backpacking chair, although it would be a nice fit if you are planning on small destination walking and enjoying the whole day in nature. When speaking about chairs, this is as comfortable as it gets, I even recommend it for people with back problems. Related: Lafuma Clipmaid Serving Tray that is a convenient addition to all Lafuma chairs. It has an additional space for small items and a cup holder. It’s easy to attach it to the leg of the chair and requires no tools. Every one of these chairs is tested and reviewed by us. We have shared with you, the most important factors to consider when buying a chair and as an addition, we have mentioned the downside to every product. It is up to you to choose the most suitable choice for you and take pleasure in using it. Make certain you read carefully all the suggested choices and we wish you luck in choosing the best option for you. We would be glad if you share with us your experiences on your preferred backpacking chair in the comment section below.